Brambles & Co Ltd have over 30 years of experience in providing made to measure Wrought Ironwork throughout Devon and the South West. Bramble & Co Ltd offer a complete service from working with you in the design process and specification to on-site measuring, manufacture and installation. Offering services to both domestic and commercial clients, Bramble & Co Ltd will ensure you get ironwork that is right for you and your individual requirements. 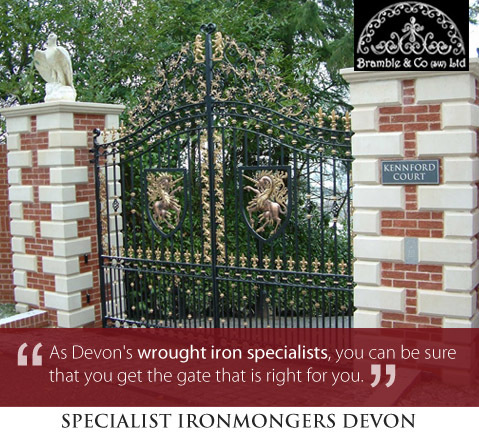 Brambles & Co Ltd provide a comprehensive range of services in Devon including Wrought Iron Gates, Wooden Gates, Garage Doors, Stairways & Railings & much more.